All Inclusive VIK hotel Cayena Beach in Punta Cana, Dominican Republic! 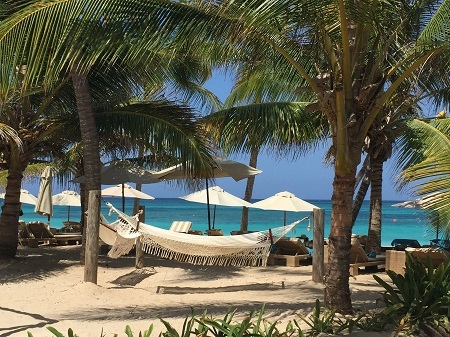 All Inclusive VIK hotel Cayena Beach in Punta Cana, Dominican Republic! Bid Per Person Per Night and Choose Your Length of Stay! in Punta Cana, Dominican Republic! * refer to minimum stay required below. 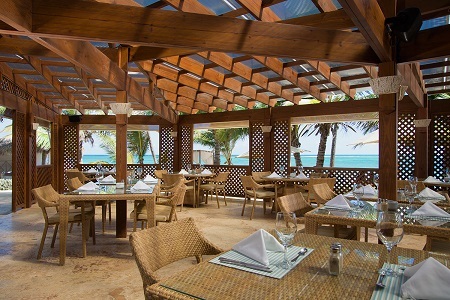 Your All Inclusive stay includes "ALL INCLUSIVE" Ocean Front Location, Buffet Breakfast, Lunch, Dinner and Snacks, unlimited alcoholic beverages and soft drinks, Welcome cocktail, All meals, snacks, ice cream and cocktails in bars and restaurants, Fast food service, water, soft drinks, wine and beer, Alcoholic national drinks, Coffee, tee and cakes service, Pool Towels service, Safe included, WIFI Internet for free in the reception area, Diving instruction lessons in the pool, Free entrance and beverages to the Fun Pub, Free access to our 4 Restaurants, Free access to our 4 Bars, Daytime entertainment and different night shows, folkloric evenings, Miniclub for children from 2 until 12 years, 2 Tennis court (Light extra charge of 10 $ per hour), Fitness Center, Non motorized Water sports: windsurf, kayak, snorkel, boogie boards, catamaran (half hour per stay). All gratuities. 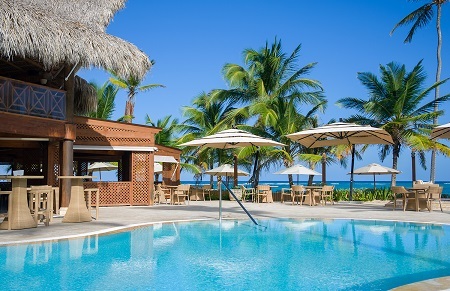 This newly refurbished, compact size all-inclusive resort, divided between the “charming & distinctive” VIK hotel Arena Blanca **** and the “boutique & unique” VIK hotel Cayena Beach Suites ***** is situated right on the famous white sand Bávaro Beach. Sheltered by a coral reef, offers smooth transition into the ocean and is surrounded by lush tropical gardens and coconut palm trees. This charming European style and “chill out” ambiance resort offers numerous activities, a choice of amenities perfect for any traveler. “Radiance” Spa, Wellness & Fitness Center by VIK, “Tower OB Casino” and golf courses nearby. Only 25 min transfer from the Int’l Airport of Punta Cana. VIK hotel Cayena Beach Suites, right on the beach, offering deluxe ocean view accommodations, 2 gourmet restaurants with stunning ocean view, 2 bars with premium all inclusive, exclusive reception with a lounge-bar, swimming pool with swim-up bar, wireless internet and room service until 9.00 PM and with private lounge-bar style reception (exclusive for VIK hotel Cayena Beach guest). 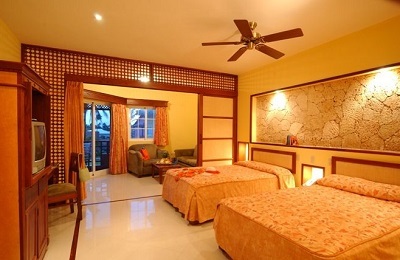 Offer is based on a Double Occupancy in a Cayena Deluxe Ocean Suite. Up to Two (2) Children 13 and under will pay 50% of the total cost for One (1) Adult, charge applies per Child when sharing a room with 2 Adults. Please submit children's names and dates of birth with your travel information. Children rates will be added to your invoice after travel dates are submitted. Not Available at Cayena Beach. Minimum Occupancy in a Cayena Deluxe Ocean Suite is 2 Adults. Traveling Solo, consider staying at VIK Arena Blanca. Obligatory Christmas Eve Gala when Staying on December 24th, $70 per adult and $35 per child 13 years old or younger. Obligatory New Year's Eve Gala when Staying on December 31st, $90 per adult and $45 per child per child 13 years old or younger. by noon est. on Friday December 10th, 2018!